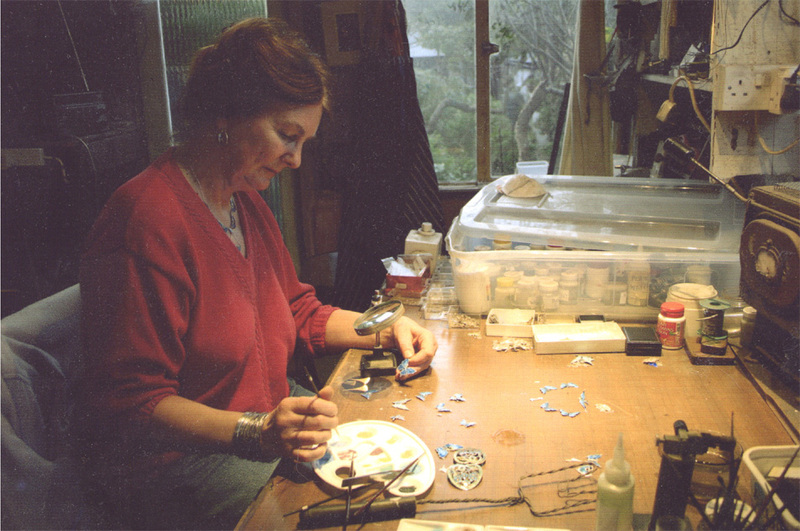 The beautiful art of enamelling has been practiced in almost every part of the ancient and modern world. Its history reaches as far back as the Celts and Egyptians, but probably originated in the East. The wonderful depth of colour on silver can only be achieved with enamel. No other medium can produce this stunning and brilliant effect. buyer. I have also sold to Libertys of London and had it displayed in Harrods. in a converted garage at the bottom of the garden! All of the following items of jewellery have been finely cast in sterling silver from the original and hand-enamelled by myself.